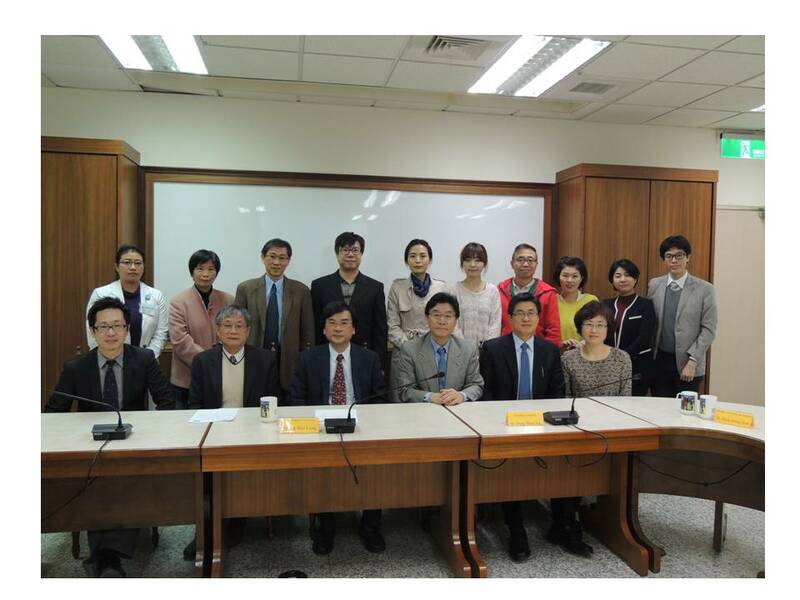 On December 23th, 2014, China Medical University was more than happy to welcome nine distinguished guests from South Korea, involving Prof. Dong-Woon Han from Hanyang University, General Director of Bureau of Traditional Korea Medicine Policy of Ministry of Health and Welfare Deok-Joong Kim, Dean of College of the Korean Medicine of Dong-eui University Prof. In-Sun Lee, Assistant Professor Tae-Yeon Kim and Sun-Young Park from Semyung University, and four Ph.D. and master students. The delegation led by Prof. Dong-Woon Han had an academic exchange meeting with professors from China Medical University to explore how to integrate Chinese medicine into hospital system to deal with chronicle disease. CMU and CMUH representatives were Dean of College of Chinese Medicine Dr. Shung-Te Kao, Director of Graduate Institute of Integrated Medicine Dr. Ching-Liang Hsieh, Director of School of Post-Baccalaureate Chinese Medicine Dr. Tung-Ti Chang, Director of Center for International & Cross-Strait Affairs Dr. Yuk-Man Leung, Prof. Yi-Hung Chen of Graduate Institute of Acupuncture Science, Associate Professor Nou-Ying Tang of School of Chinese Medicine, and Dr. Ya-Min Jan of Department of Integrated Medicine. After the meeting, those guests paid a visit to Lifu Museum of Chinese Medicine. Since Lifu Museum of Chinese Medicine is the only specialized museum in Chinese herbs and medicine in Taiwan, they were all impressed to see the exhibition related to Chinese medicine and eager to raise questions. They also visited China Medical University Hospital Meide Branch to see how acupuncture is being practiced. Thanks to Dr. Mao-Feng Sun’s attentive introduction, the connection between muscle relaxation and acupuncture is well explained. This tour ended with a successful conclusion that Prof. Dong-Woon Han promised to visit CMU again next year in order to strengthen two universities’ academic ties.